Blogs | Pedro's blog | How will you benefit from a smart home and home security systems? So your concern should not be only installing security systems, rather turning your property into a smart home! In this post, however, we have a different question altogether, which is, how you will benefit from a smart home and home security systems! Your imagination has turned into a reality, where your home will sense your presence and will turn lights on and off, lift up and pull down window blinds, lock and unlock doors, on its own! The pain of searching light switches in the dark, fidgeting with the keys to unlock the doors, and taking the pain in creating the ambience for any special event, are now gone! A smart home does all the work for you all by itself, except taking voice commands from your end to complete complex tasks! 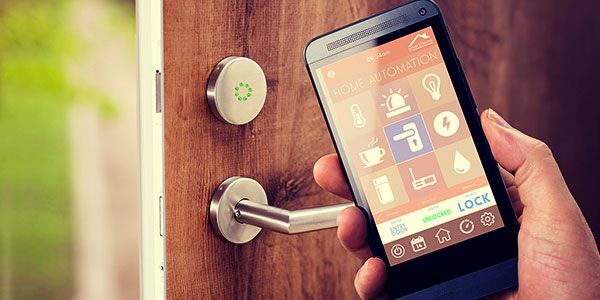 Moreover, your smart home will be equipped with modern security technologies that might include flashlight and sirens for burglar alarms. Also, security cameras will display each and every section of your property that goes on and off on your command or from a little touch on your smartphone! But all depends on how much you want to invest in smart home appliances. The more you spend, the more features you get. As from the financial advisor’s end, we suggest you go for the minimum smart security features if your budget is a bit on the lower side! Apple has pushed the boundaries of smart home environment a bit further since the introduction of Homekit. On any of your iOS devices, you have the app called ‘Home’ which lets you enter the Homekit ecosystem! You can choose from a wide range of Homekit supported appliances, to give your home the best ecosystem of combined smartness and high-end security. Plus you have Siri, to voice command all the services you need. With the help of Apple’s Homepod your talking to easy will just become more easier. The Homepod has the power to recognize your voice from distance, even if loud music is playing, or other noises are masking your voice! So expect to see the window blinds come down, security alarms get active, and the lights go off, when you say, “Hey Siri, it’s bedtime”! You can completely customize your home security systems and smart appliances if you don’t want to go for a single preferred ecosystem! Companies that manufacture smart home products include Yale, Bosch, Honeywell, Cisco (WiFi Securities), Armorax, SimpliSafe, etc. Their products range from and to anything you can name! Smart locks, smart outlets, thermostats, security cameras, flashlights, are just to name a few. Moreover, they also come at affordable prices, so don’t freak out by their looks and product types! Most of the products are voice-enabled and support Siri, Google Assistant, or Amazon Alexa. If spending too much on technology is not one of your ideas, then just improving the basic security portfolio of your property is a great way to increase the property’s value. A standard alarm system that has geosense and tracks bio-activities, and the traditional square format 4 security cameras, will definitely do your job. A well equipped smart and secured home will definitely attract prospective buyers at a great price. Everybody wants a well-modified property, but very few are willing to dedicate time and labor for making it so. Is an example, if a normal house costs around $200,000, then that home with readymade smart security standards can surely be somewhere around $300,000 or more, depending on what type of modifications it has. This I consider being a real appraisal of the property. Good security standards mean fewer chances of theft, burglary, and other antisocial activities. Also, if you have various alarms designed for specific natural disasters, then such notifications can really help in taking suitable on time measures. These give a positive feedback to an insurance provider about your home. Low chances of risk mean a good sign for the insurer. So, hope to get some discounts on insurance policies! Once you get accustomed to the voice command structures for every day to day activities in a smart home you will feel out of place in another regular home. Now instead of doing all the work yourself, you will rather just say commands like “Open the garage”, “Remind when the children are home”, “Switch off the freezer”, “Play some blues and turn out the lights!”, and so on. Plus, you have the security factor like you will hear an alarm and see how a burglar breaks in and gets baffled by the sudden glowing of flashlights that get activated throughout the perimeter of your property. Practically, technology is advancing, and not going with the flow of this advancement is just utter foolishness, and depriving yourself of worldly pleasures! Becoming a part of progressive technology brings in a sheer sense of satisfaction!